It's that time of the year again, Christmas!! Noooo, just kidding but it's almost time for my favorite season of the year, Fall! I this season because I personally love to layer different pieces, the cute boots and super cute jackets. If you didn't already know, I am a huge fan of "TOMS shoes"... know you know! They are super comfy, fashionable, and affordable. Somewhere in the world it's about 60 degrees outside and believe it or not it's almost fall! 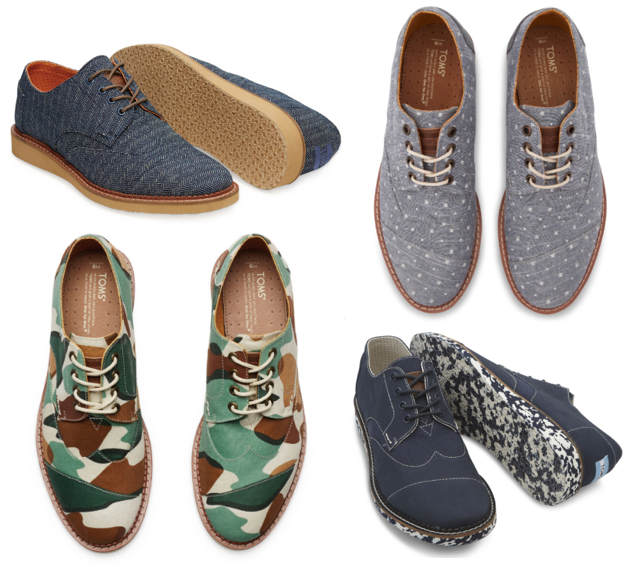 Below are a few of my favorite men's "TOMS" that are perfect for this upcoming season. They can be paired with a nice jacket, a simple V-neck, and some nice denim or slacks. This is where your shoes will literally do the talking for your outfit. Enjoy fellas and happy shopping! Don't forget, Everytime you purchase a pair of TOMS, they give a pair to a child in need!